"Xenrox“ is the new project of Samad, from Vienna (Austria). With the age of 14 he made his first experience in creating music as the guitarist and vocalist of a metalcore band. 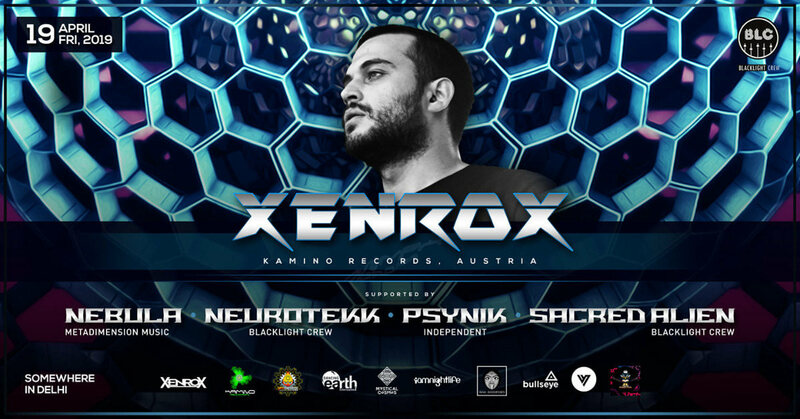 After getting in touch with Psytrance at the age of 20 he started experimenting around with psychedelic music as "Xenrox“ and realized a great passion for higher BPM range Psytrance/HiTech in 2014. Since then he put all his creativity, power and love into producing and playing this genre. His style represents a mix of dynamic, futuristic and melodic stories, creating a wide range of various emotions. His philosophy: Expressing the unknown, that can not be described in words, in the shape of music. Deep Psychedelic music , constructed to make you dive into a world of vision. Inspired by emotion and experiences. Use of explicit frequencies and sounds from around the world to deliver a quality mind bend.